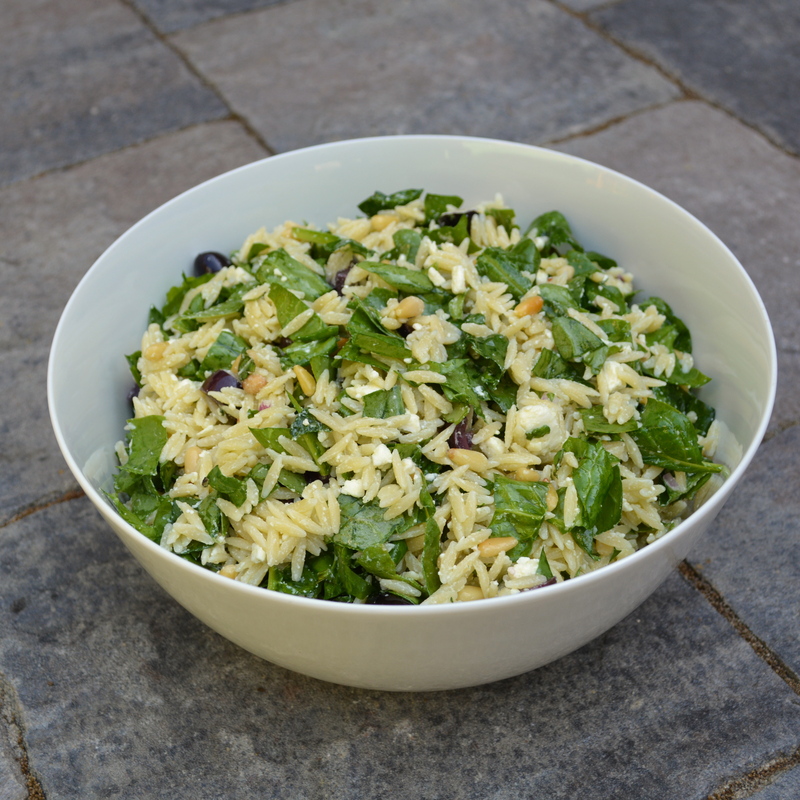 Orzo and Spinach Salad | Time to Cook! I love the Orzo and Spinach Salad that Whole Foods makes and thought about replicating it at home. A quick search on the internet brought me to one that sounded promising, and I made a few modifications. This salad can be served cold or at room temperature and would be great to bring to your next BBQ. Bring a large pot of lightly salted water to a boil. Add orzo and cook for 8 to 10 minutes or until al dente; drain and rinse with cold water. Transfer to a large bowl and stir in spinach, feta, onion, pine nuts,olives, basil, salt and pepper. Toss with olive oil and white balsamic vinegar. Refrigerate and serve cold or at room temperature.